Search all Pebble Beach Condos and Townhomes for Sale throughout Pebble Beach on one easy to use website. This page shows the latest Pebble Beach Condos and Townhomes for Sale in Pebble Beach, CA 93953. This page has the latest 5 MLS Listings for Pebble Beach Condos and Townhomes for Sale to come on the real estate market. Whether it is a $400,000 basic condo in Pebble Beach's Upper Forest or a 5,000,000 Ocean View townhouse adjacent to the Pebble Beach Lodge, this webpage will have the newest selection of Condos and Townhomes in Pebble Beach. Pebble Beach, CA is known as one of America's well known gated communities with very luxurious homes with spectacular ocean views and incredible golf courses. Most people don't realize there are three different areas in Pebble Beach where you can purchase a condo or a townhouse. All three areas offer the potential for ocean views and they vary in price substantially, from a basic 2 bedroom two bathroom condo for around $400,000 to a semi-custom 5400 square foot townhome with killer ocean views for just under $6,000,000! The condo and townhome experience in Pebble Beach offers some very unique lifestyle opportunities that you probably do not see in other places. Keep reading for specific Pebble Beach Condo and Townhome differences. The most desirable and highest priced of the Pebble Beach condos is located basically on the Pebble Beach Lodge property, making these townhomes the most desirable and highest priced in al of Pebble Beach. After all, this area is home to the most expensive real estate in all of Pebble Beach, and the same thing is true for condos. Units here range in size from roughly 2700 square feet to well over 5000 square feet. All of them tend to have some sort of views, whether it is a view of the Peter Hay Golf Course, a view of the Pebble Beach Lodge or killer views of Stillwater Cove and Point Lobos. Most of these units were built in the late 1970's to the early 1980's but don't let that fool you, most have been remodeled or in some cases rebuilt. Amenities include room service from The Lodge as well as maid service not to mention a front row seat to many of the annual functions at the Pebble beach Lodge including the AT&T Celebrity Pro Am Golf Tourney every February, the US Open (every 10 years or so), the Pebble Beach Concour de Elegance every August as well as littler known functions like the Nature Valley First Tee Open. There is always something going on in Pebble Beach and these townhomes put you right in the middle of all the action. Prices for a Pebble Beach Lodge area townhome range from just under $2,000,000 all the way up to just under $6,000,000. 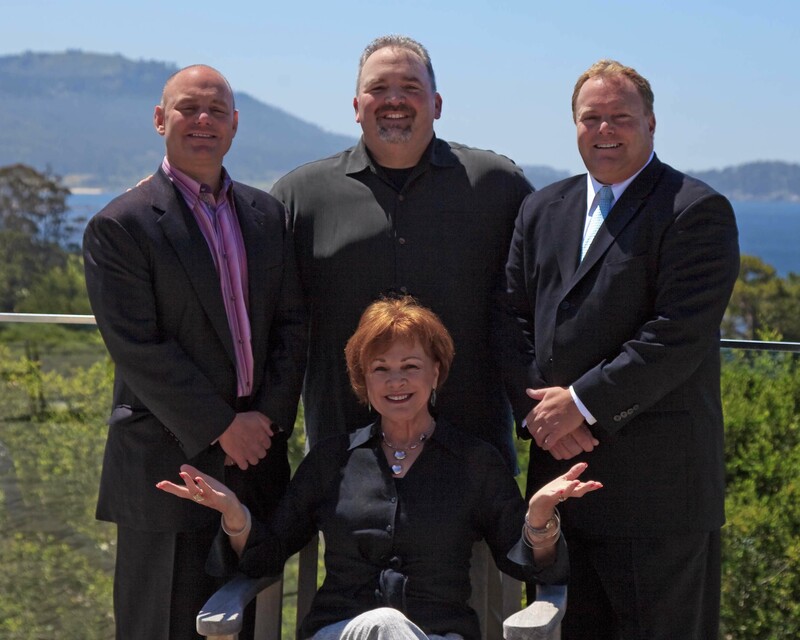 The Residences at Spanish Bay are the latest townhomes to be built in Pebble Beach. These incredible townhomes are built right next to The Resort at Spanish Bay and many of the units overlook The Links at Spanish Bay and the beautiful Asilomar State Beach. Although not quite as desirable as the Lodge townhomes, these are very luxurious properties that boast 10' ceilings, stunning walls of glass and magnificent views of the pounding surf. Not to mention the Inn at Spanish Bay is a favorite for its incredible sunsets accompanied by the bagpiper's salute to the days end each and every night. The Spanish Bay townhomes range in size from roughly 3250 square feet to around 4200 square feet and seem even roomier than that with all of the glass and high ceilings. They can be found with either 3 bedrooms and 3 and one half baths or 4 bedrooms and 4 and one half baths, with each bedroom having its own bathroom. Amenities are similar to the Townhomes at The Lodge in that you can order room service in the Residences as well as order maids services. Prices for a Spanish Bay Residence townhome range from just under $2,000,000 on up to well over $3,000,000 depending on the view and state of updating inside the unit. The Upper Pebble Beach Forest is home to two condo developments, Ocean Pines that was built in the 1970's and Shepherd's Knoll which was built in the early 1980's. Ocean Pines is built on the west side of Huckleberry Hill and offers incredible views of the Pacific Ocean from afar. Shepherds Knoll is located about a mile down 17 Mile Drive behind a private gate and is perched on a bluff east of Huckleberry Hill. Shepherds Knoll offers great views of the Monterey Bay, Del Monte Beach and the city lights below. Both Shepherds Knoll and Ocean Pines offer 2 bedroom, 2 bath units and 3 bedroom 3 bath units and range in size from 1250 square feet for the smallest Ocean Pines condo to 2800 square feet for the largest Shepherds Knoll condo with prices varying from around $400,000 to around $800,000 respectively. Obviously the view will way heavy on the condo to condo price. If you are looking for a Pebble Beach Condo and Townhome for sale, you can start your search below. The latest 2 MLS listings of condos and town homes for sale in Pebble Beach are below. 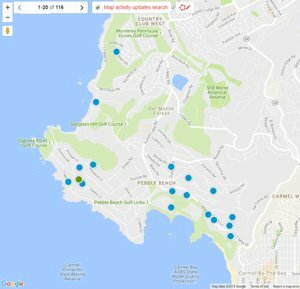 If no properties are shown below that means there are currently no Pebble Beach condos for sale. For a full list of Monterey Peninsula condos and town homes that are available right now, you can build an advanced search or contact us and we can do it for you.